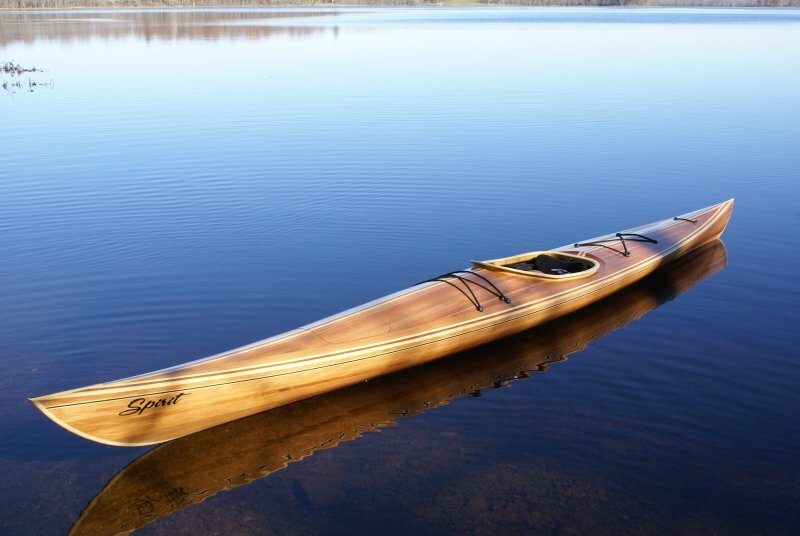 SPIRIT is the first wooden kayak that Rod Chelberg has built. 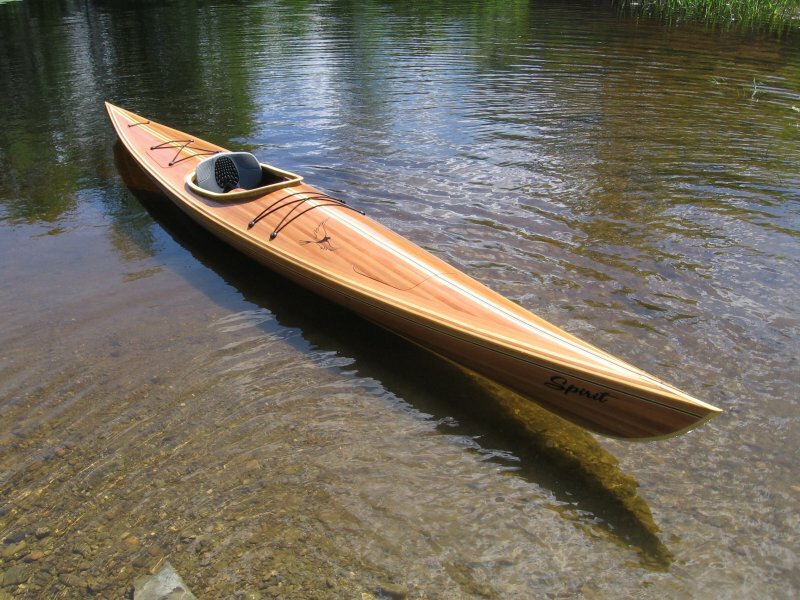 He started with an ocean kayak kit from Newfound Woodworks in Bristol, New Hampshire. 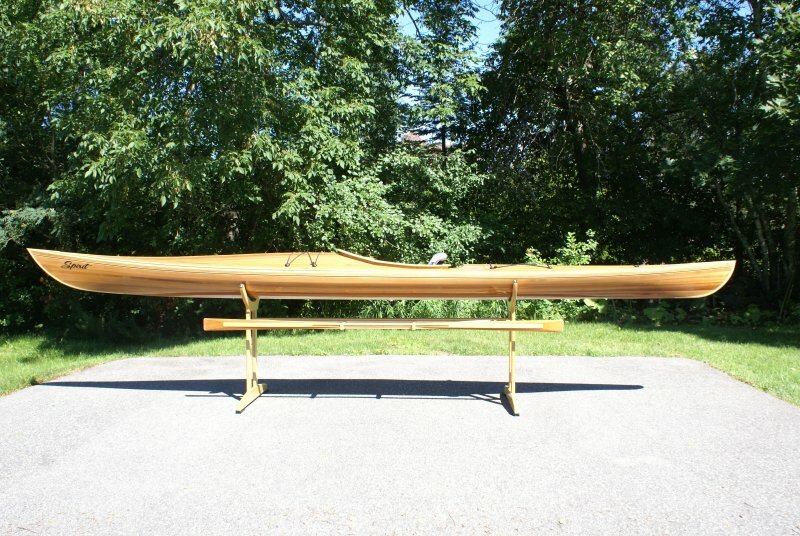 Rod used red cedar strips with accent strips of white cedar on the 44 lb. hull. He steam-bent ash for the stems, and inlaid strips of holly and ebony on the deck and sheer. He covered all of the 17′ hull in epoxy and fiberglass. 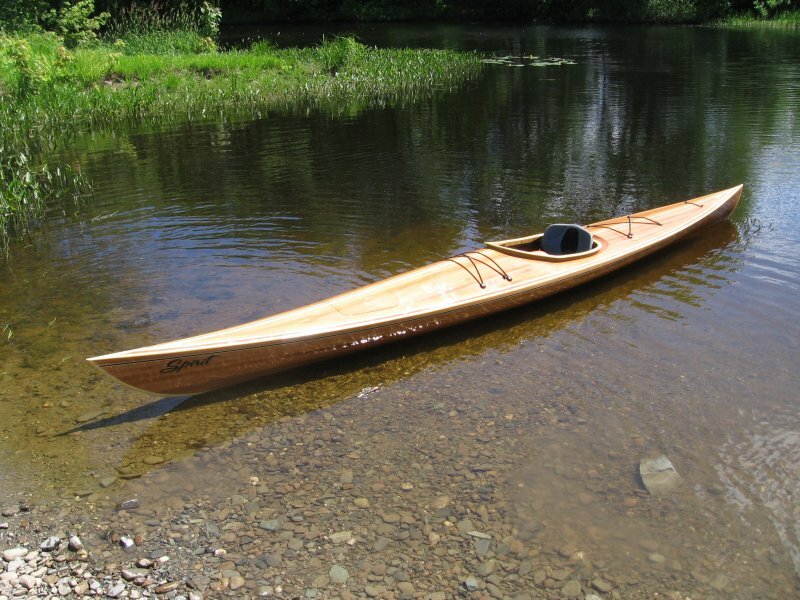 Rod, who lived in Hermon, Maine, writes that “In the water she is all speed, but also very stable.” He has paddled her in Castine, Maine, and also in several lakes and rivers closer to home.